Republican McKinley entered the White House in 1897. Amid a political and popular clamor for war with Spain —for the purpose of “liberating” Cuba—McKinley ultimately acquiesced, and the brief Spanish- American War (1898) transformed Cuba from a Spanish colony into an American client state. The war also resulted in U.S. annexation of the Philippines, Puerto Rico, and Guam (and it also helped to propel the annexation of Hawaii). 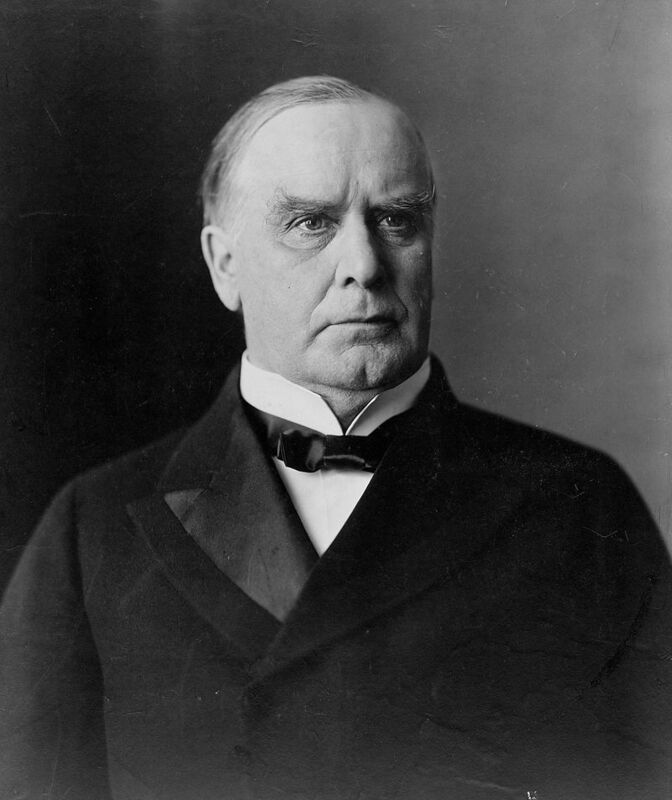 Thus McKinley presided over an intense period of U.S. global expansion, which transformed the nation into a major world power and an imperialist force. McKinley’s postwar popularity was such that he was reelected in 1900; however, while attending the Pan-American Exhibition in Buffalo, New York, he was shot at pointblank range on September 6, 1901 by a self-proclaimed anarchist, Leon Czolgosz. He died on September 14 and was succeeded by his vice president, Theodore Roosevelt.